Our open air area is a giant external playground and provides lots of attactions outside of our hall. Moreover we have a water playground! That means lots of fun for you and your friends! 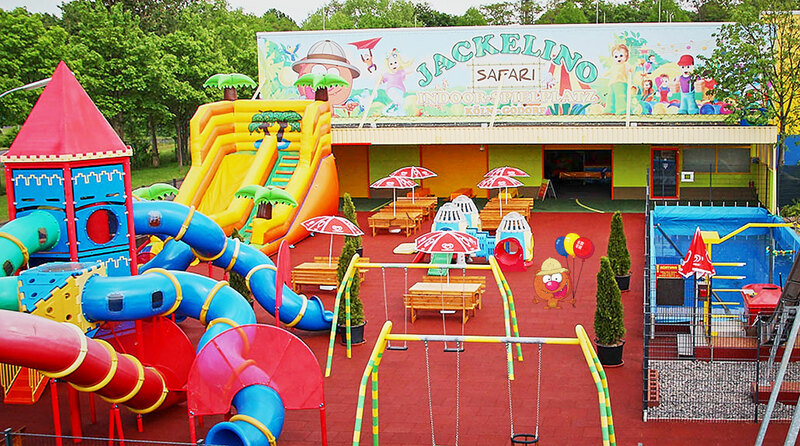 The outdoor area and the attractions located on it are a free additional service of Jackelino. The area is usually open on warm summer days, opening depends on the owner’s decision.